Ultra-modern clock is high-tech in appearance. Shows crisp readable dials with a low profile case. It's the prestige clock to place on any wall. At twenty feet, read time, temperature, and humidity. Triple display shows precise quartz-crystal timing with 0.01% accuracy, temperatures from –34 to 116°F and –37 to 47°C with ±1.5°C accuracy, and relative humidity from 8 to 92% with ±5% accuracy. 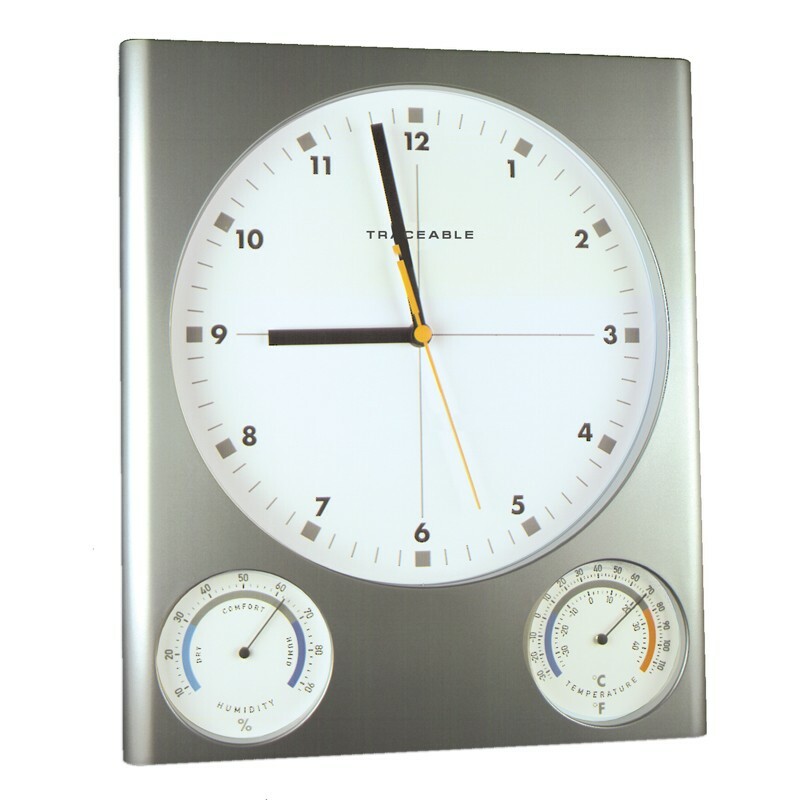 Clock dial diameter is 9 inches, temperature and humidity dial diameters are 3 inches.